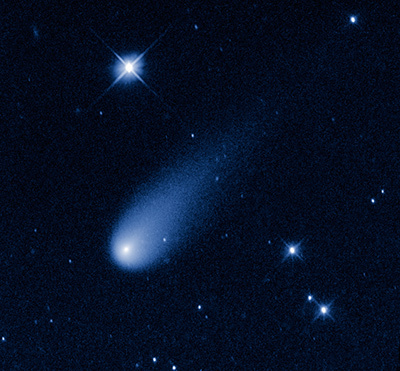 ISON is it’s name, comet-ary awesomeness is it’s game. It will be here in Nov. I cannot wait. This one has the potential to be the comet of the decade, or even of the century. Scientists think this one could get so bright it can be seen in the daytime. At the very least it should be a naked eye object from dusk to darkness. The last time we had a “comet of the century” event, it was Kohoutek back in 1979, which fizzled and failed spectacularly to meet expectations, comets are notoriously difficult to predict accurately, but this one has the potential to be a whopper. Anyone with binoculars, or a pair of eyeballs should get a kick out of this one, even it only meets half of its expectations. I am so looking forwards to this event. This entry was tagged Astronomy, Comet ISON, Is it here yet?, Is it Now?. Bookmark the permalink.